Hemp production. 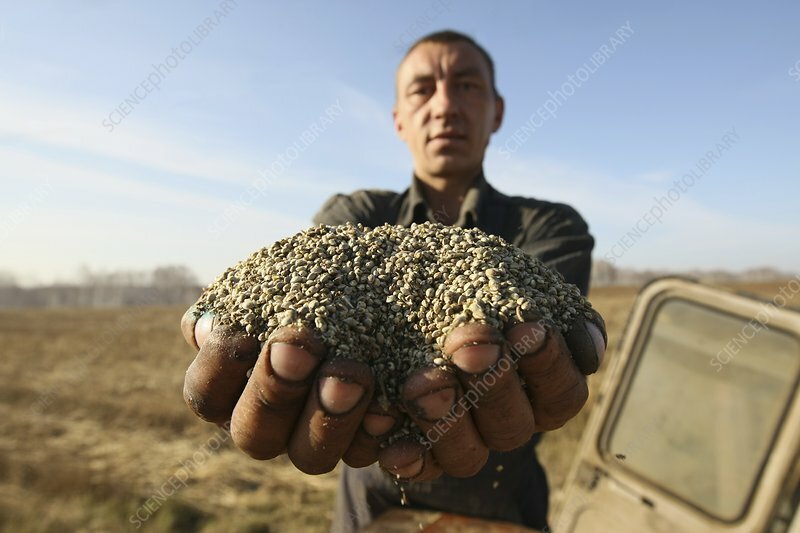 A farmer holding seeds of hemp (Cannabis sativa) gathered during harvest. Varieties of hemp containing only trace amounts of narcotics are cultivated in many countries. The plant is used for its seed oil and to make products such as textiles and paper. Photographed at Novosibirsk, Russia.